LifeSize Room combines an immersive, high definition video experience with a rich set of features to deliver a powerful, flexible and easy-to-use video communication solution. Like all LifeSize systems, the LifeSize Room delivers telepresence-quality, high definition video and audio for a realistic experience allowing you to do more and travel less. An ideal fit for large conference rooms, LifeSize Room allows you to establish video calls with multiple participants through an embedded high definition multipoint control unit (MCU). 6-way Continuous Presence (with 4 visible participants), complete with transcoding is possible in a compact, sleek unit that’s less than half the size of comparable solutions. With the ability to supporting two HD monitors and two high definition PTZ cameras, each with wide-angle 4x Optical zoom and 70 degree field of view, LifeSize Room delivers the ultimate in flexibility. Presentations, documents and multimedia can be shared with all participants, enabling everyone to collaborate more effectively. 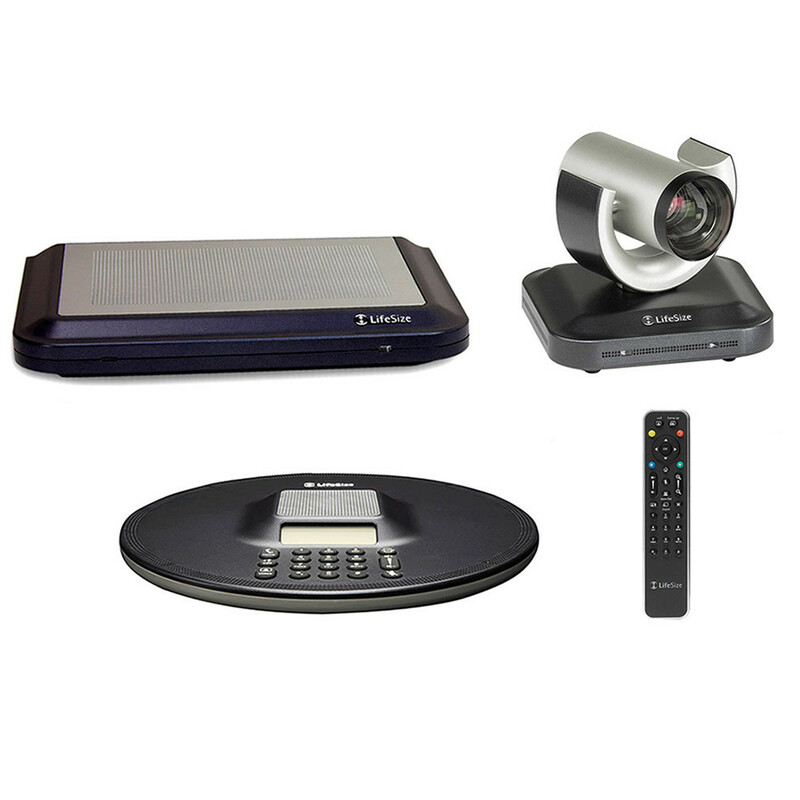 The LifeSize Room is a videoconferencing system designed with a concern for absolute simple usability. LifeSize Room can utilize a single MicPod, dual MicPods or a LifeSize Phone for high definition voice and audio transmission. This LifeSize Room configuration includes a LifeSize Camera and a LifeSize Phone. First introduced with LifeSize Room, LifeSize Camera is compatible with all LifeSize codecs. Providing video resolution support up to 1280 x 720p at 30 frames per second, the LifeSize Camera features a wide angle lens with a 70 degree field of view and a 4x optical zoom. Pan, tilt and zoom functions on the LifeSize Camera can be controlled easily by both ends of the call through the intuitive LifeSize Remote Control. The LifeSize Camera is a powerful, yet simple plug and play solution that delivers an optimal video communication experience and was designed entirely by LifeSize for its high definition video communications solutions. Because the LifeSize Camera does not have an integrated microphone, a LifeSize Phone is required. The LifeSize Phone is a high definition audio conference phone that delivers revolutionary audio conferencing sound quality and room coverage. It eliminates echoes and electronic shielding negates the distracting “buzz” caused by the presence of cellular phones and other handheld devices. The LifeSize Phone is powered by 16 always-on microphones and exclusive, patent-pending circular microphone array and beam forming technology, which provides a seamless and immersive teleconference experience. It is also capable of placing three-way audio conferencing calls. Enabling people to communicate effectively, the LifeSize Phone is designed to work in large conference room or small office settings for weekly executive conference calls or regular project team meetings. True CD quality is achieved with super wide-band audio up to 16 kHz which uses MPEG4 AAC, the same algorithm used in the popular music storage products. The LifeSize Phone allows you to hear all the participants in an audio conference with ease, which reduces fatigue and improves productivity and decision making. 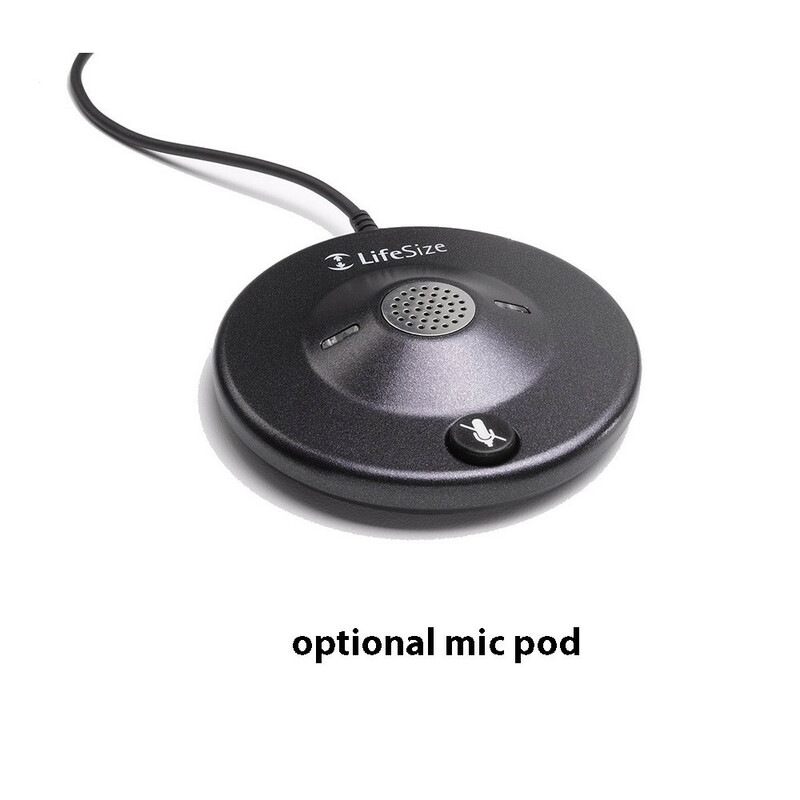 Utilizing a specially designed titanium speaker driver, the LifeSize Phone reduces distortion by up to ten times compared to other conference phones and results in better intelligibility via extended frequency response – no need for a subwoofer with the LifeSize Phone. The LifeSize Phone provides exceptional VoIP conference phone quality and integration to a variety of IP-PBX systems (SIP and H.323). It can also be fully integrated with LifeSize Room and LifeSize Team video systems. Pre-tested and integrated with multiple vendors, the LifeSize Phone ensures the highest quality voice and video solutions via integration with overall business communication requirements.